When Your Focus is the Customer | It's In The Sauce! Too often staff in restaurants, shops, and other businesses are so focused on the policies of their employer that they fail to adequately serve the customer. When their behavior is different, when they are focused on the customer, amazing things happen. I had a great example of exceptional customer service recently. Mike and I were at a restaurant in NYC for lunch. We were given two menus that although initially they appeared to be the same, had a couple of different prices for similar, though not exactly the same, items. We pointed out the discrepancies to the waiter, and asked which were correct. We were not surprised to hear that the menu item that was three dollars higher was the correct one, or that the particular item that gave no options for ingredients was the one the restaurant was offering. But we were surprised that the waiter asked the chef to prepare the option we wanted, not the one on the menu, and that he agreed to do so. And we were then surprised that the waiter said he would charge us the lower price! The greatest surprise of all came when the bill was presented. The waiter had not charged us at all for the half glasses of wine. When Mike pointed that out, the waiter replied that he wasn’t charging for that wine, and seemed surprised that we expected that he would! He said, “We’re not that busy, and I am glad to do that.” I was immediately struck by the dichotomy of his statement. 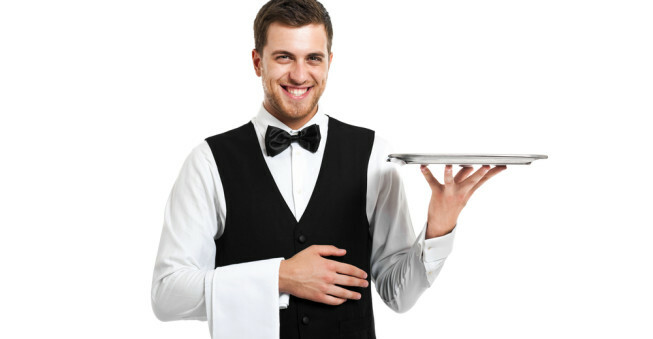 Instead of being focused on getting the most money out of the customer possible, especially since there weren’t many customers present at that time, the waiter was focused on giving something to the customer. Wow! I immediately had this blog post in mind, and also planned to post a very positive review on Trip Advisor. I had not planned, however, to name the waiter or the restaurant in the blog post, assuming that the waiter could “get in trouble” for his actions. I mentioned to the waiter how this experience was so positive, and told him of the planned blog post and Trip Advisor review, but promising to not name him so he wouldn’t get into trouble with his employer. The waiter replied, “That will not be a problem at all. I will not get into trouble; nobody will care that I did that.” I realized then that even though this particular waiter seemed so unusual and so focused on the customer, management of this restaurant must have created a culture of service to the customer, and reinforced that in various ways to the staff. No one probably had told the waiters to give away free wine to customers, or to undercharge on items. These specifics should not have to be taught, for each customer’s experience and request is different. But the staff clearly feel safe to Wow the customer, even when doing so (on the surface) might seem to take profit away from the business. But quite the opposite happens. When customers receive exceptional service, they tell others, and they return to those places of business again and again, becoming life long loyal customers. Or at least, that is the way it should be. We should spend our money with businesses that know the value of a customer, and prove that to us in various ways. Like Billy and the Wayfarer Restaurant in NYC. So, by all means, when you are in NYC, go to the Wayfarer Restaurant on W. 57th street on the corner of 6th Avenue. And ask for Billy, and tell him you read about him. You can expect to receive his most excellent service, although it will likely be a different experience for you, since you are a different customer. On the other hand, don’t worry if you have a different waiter than Billy. You will probably receive excellent service from any of the wait staff at the Wayfarer Restaurant, for management has created a culture of exceptional service, and hire staff who know how to and want to deliver it. Then, look for ways that you can Wow your customers. Pay it forward. This entry was posted in Relationships and tagged business, customer, customer service, wayfarer NYC, working relationships. Bookmark the permalink.